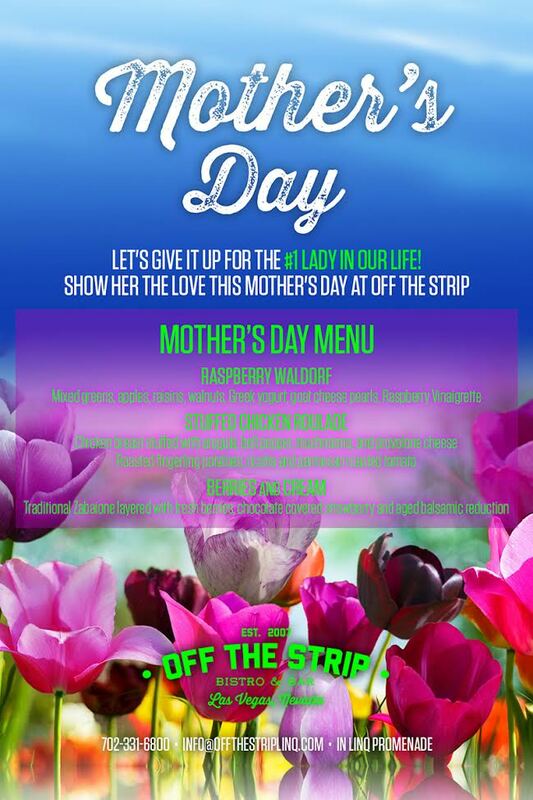 with a three course Mother’s Day meal at Off The Strip. This pre-set menu is perfect for mother’s of any age and is loved by men, women, & children! Call today to schedule a reservation at 702-331-6800. Tables fill up fast so a reservation is highly recommended.